It's a Jewish tradition to foster a love of learning at all ages. We want our children to enjoy exploring their Jewish heritage as they develop into well rounded and respectful adults we can be proud of – ‘Mensches’. The journey begins with toddlers at Gan, taking children through Religion School to Bar/Bat Mitzvah at 13 and Kabbalat Torah at 15 or 16 and on to adulthood. Our weekly Religion School is run by James Davies, along with a team of teachers and assistants who are committed to leading lively and informative sessions full of stories, discussions, arts, crafts, music and songs. We also hold family mornings when parents can join in the learning experience. 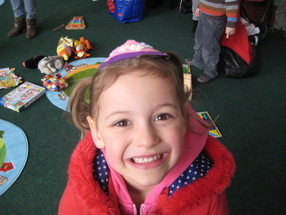 Religion School is held every Saturday morning during school term time in either Ley Hill (near Chesham) or combined with a Shabbat Morning Service in Amersham. We take children into Religion School from school year 2 (at around age six). Gan, which means ‘garden’ in Hebrew, is our pre Religion School session for toddlers and little ones up to the age of six. It's an extremely informal hour of fun activities around a Jewish theme, with singing, dancing, cooking, painting, sticking and more. Gan is usually held monthly on a Saturday, although this depends on festivals and school holidays. We meet at the same place as our Religion School so that parents and children can get familiar with the Religion School environment and meet with other families and teachers. We run a varied programme of adult education sessions, including 'Torah breakfasts', which take place before most Shabbat morning services, and 'Jelling with Judaism' evening classes. We warmly welcome anyone who sincerely wants to become Jewish. Your journey will start by talking to Rabbi Charley and joining SBJC as a ‘Friend’ member. From there, converting to Judaism demands substantial commitment, and we’ll be here to support you all the way. You can find out more about converting to Judaism in the fact sheet below. Sometimes, a person discovers in adulthood that they’re Jewish, having never known of their Jewish heritage as a child. In other cases, someone has always known of their Jewish roots but has had no formal Jewish upbringing and would like to affirm their Jewish identity. If this is you, we’ll be thrilled for you to join a course of Jewish education and experience similar to that designed for conversion. You can then apply to the Rabbinic Board for a Certificate of Status, which will formally confirm your Jewish identity.